What a ride this has been! 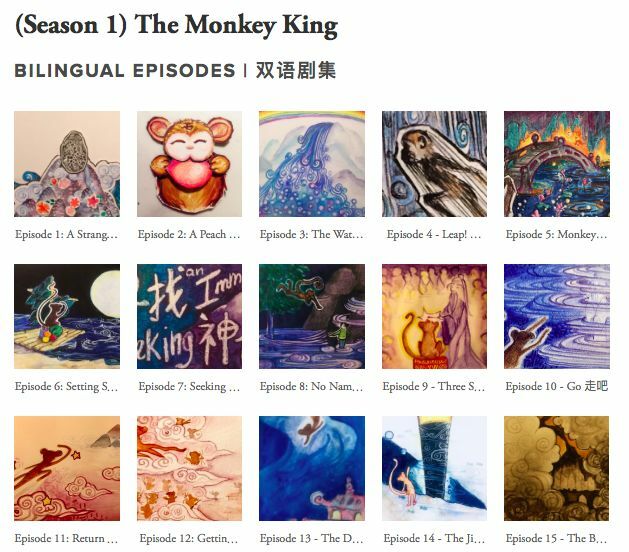 For now, I'll be ending season 1 of bilingual 西游记 (The Monkey King) with episode 15. I have learned so much in making these stories and definitely plan on making more. For now, however, I need to focus on finishing my thesis for Cambridge. More importantly, I've learned through making these stories how much more there is still for me to learn (re:making these better, more educational and engaging). I want to do this story justice - so I'll be pausing new storylines until I have time and space to do so. Tentatively, I hope to return to this story later this fall! Season 2 will be "Havoc in the Heavens - 大闹天宫!" Monkey in full rebellion against the gods above! From now until Mid-July, I'll be in full thesis mode. It's an exciting and stressful time. Write, teach, publish, share! There are many questions and doubts: is the work good enough? When will I know? Will there be a publisher willing to take this project to a wider audience... or should I commit to the task of self-publishing?